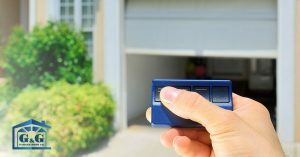 Garage Door Repair Beverly Hills: Is Your Garage Door Malfunctioning? Are you having problems with your garage door? Homes in Beverly Hills tend to have garage doors that are heavy duty and well-made, but sometimes there can be problems that arise. If you’re an individual who is in need of garage door help, G&G Garage Door is your saving grace! We specialize in providing your heavy duty garage door the repairs or services it needs to work properly without any malfunctions in the future. But what type of problems may arise? If the batteries in the garage door transmitter that you keep in your car are dead, it’s no wonder your garage won’t function properly. If, however, you have replaced the batteries in the transmitter and you garage door won’t budge, you may want to reset the transmitter. Photo eye is out of alignment. As a safety caution, garage doors have photo eyes on the bottom of either side of the garage door. If something is blocking the sensors, the garage door simply won’t close. If there is nothing blocking the garage door, the photo eye may be out of alignment or dirty. Learn more about this in our next blog. Track is out of alignment. If your garage door is out of alignment, it won’t open or close properly, leaving you with a serious issue. You could have one of two problems: the metal track that the garage door follows may be out of alignment, or the rollers or rails that the garage door follows may be bent. The problem may arise if the garage door is too heavy for the track, so if this problem is occurring in your Beverly Hills home, be sure you call the garage door repair specialists at G&G Garage Door.